Eric Reid might have really shaken Malcolm Jenkins, or at least reminded him that NFLers were engaged in activism before the Players Coalition existed. 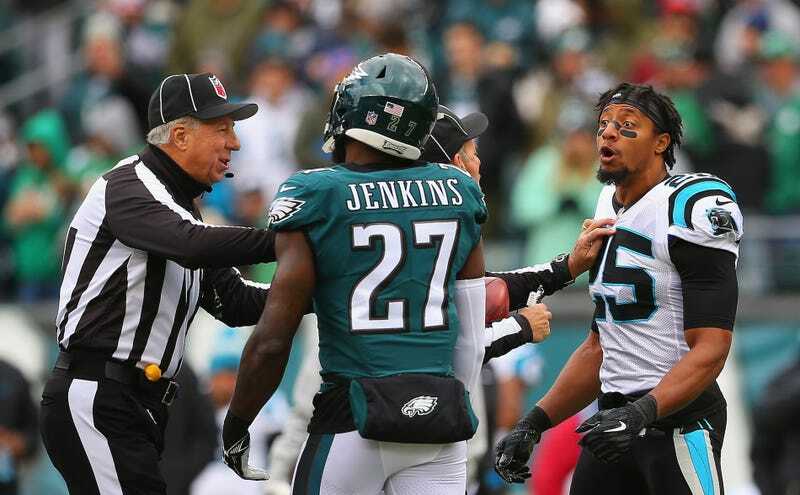 Although Jenkins was terse after Reid confronted him before Sunday’s game and called him a “sellout” in a postgame interview, the Eagles safety today used his team’s upcoming game against the Jaguars to remind the public that Colin Kaepernick deserves a job in the NFL. Jenkins again avoided questioning Reid’s intent, but it’s obvious how the Panthers safety feels. He believes the Players Coalition has strayed from its original path and made a mistake by cutting a deal with the NFL, and he’s brought up legitimate questions about how money from the league would be used to serve the group’s goals. Jenkins has maintained that his efforts within the coalition have been focused towards helping “people,” but he should also make sure it’s functioning as intended, and the players involved should continue to agitate for a team to sign Kaepernick. The group is pursuing a range of noble goals, but Reid isn’t wrong when he calls for the voices to be a little louder and more forceful.